I've been stewing over the question of meter (in)accuracy over the last few weeks after my experiences with the iBGStar. Possibly because throughout much of April my levels have been a bit wobbly which often puts me in a grumpy frame of mind as Stacey at www.portablepancreasgirl.com noticed. Not helped by the report today that suggest 80% of the massive NHS diabetes budget goes on treating (largely avoidable) complications. 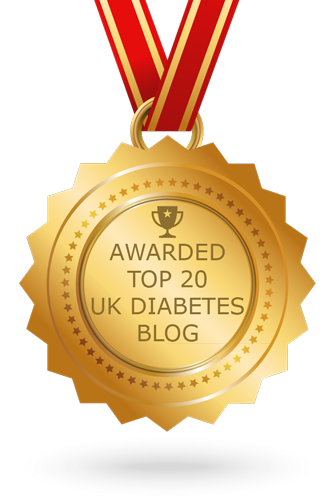 In our fight to avoid complications our 'window on the world' of how our choices are affecting our bodies are blood glucose (BG) meters. BG meters currently have to meet accuracy criteria set by the International Standards Organisation in order to pass muster. This is a good thing. According to ISO15197 the required level of accuracy for BG meters is +/-20% against lab results 95% of the time. So the very best they need to aim for is that a lab reading of 7.0mmol/L (126) would show as somewhere between 5.6 (100) and 8.4 (151). And 5 times out of 100 it could be much worse. In other words testing at 5.6 and then 8.4 just 5 minutes apart using the same meter with the same pot of strips (or even seconds apart from the same drop of blood!) would pass the International Standards Organisation criteria for accuracy. Similarly under the requirements 3.2 (58) and 4.8 (86) could be identical readings from a lab test of 4.0 (72). 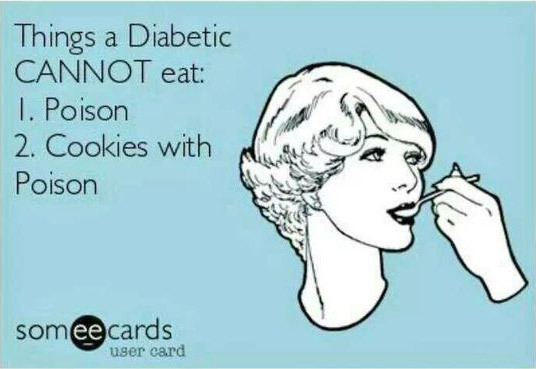 But 3.2 and 4.8 are not the same as far as anyone trying to manage their diabetes is concerned. One is 'reach for the jelly babies' time, the other is 'nothing to see here', while the actual result was 'better keep an eye on that'. With modern diabetes management techniques we have the potential to manage our condition with a level of accuracy which should guard against complications. But the snazziest insulin pump and whooshiest rapid analogue insulins are being let down by a sloppy data feed. To play it safe perhaps I should adjust my pre-meal targets to take account of potentially errant readings. So lets see... with a 20% buffer at either end that gives me a target 4.8 - 5.6 (86-100). Aim for that narrow a window? Hmmmm, perhaps not. Unless I want to drive myself mad. Fortunately most meters far exceed the required level of accuracy most of the time. But as for the 'official' requirements... Good enough? No I don’t think so really. 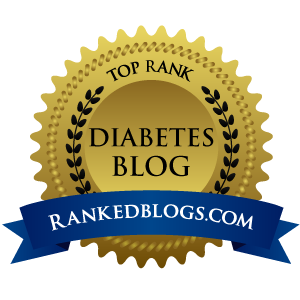 Is it just me or do many other diabetics seem to spend an interminable amout of time just waiting around? I'm not talking those charming hours spent in the cosy nooks of a doctor's surgery or the peace and tranquility of a clinic waiting room - I just mean the day to day business of pretending to be a pancreas. The waits I am talking about always seem to last about 'another half an hour'. Wake up, test BG, bolus, pour coffee. Look at watch and think, "Better wait about half an hour for that insulin to realise it's meant to be doing something useful before I take the rash action of eating something." 48 minutes after lunch. Hmmmm I wonder if I guessed that dollop of whatever right. Bit early yet, better wait about half an hour before testing to allow for the dose/food to get going. Oops, got that wrong. 9.something... If I walk to the shops that'll sort that out. Back from the shops. Wonder if that worked. Better leave it about half an hour for that sort of low-level exercise to have any effect I suppose. Evening meal (inexplicably spared the need for a pre-meal half hour wait). Look at watch, 56 minutes since finishing. Bit early yet. Better leave it about half an hour before seeing how things are going. Bedtime. Dual wave finished some time ago but there are still a fair few units (and some takeaway) doing their thing. Better leave it a while before turning in. There... was that long enough? Ah no... that was only 27 minutes, better leave it about another half an hour. I'm sure if I had all those back and added them together I'd have about twice as many hours in the day! And half an hour is not quite enough time to do any one thing, but slightly too long to do nothing. It's a time period where it's easy to get distracted and forget what you were supposed to be doing (waiting to eat after bolusing is a nightmare for this). And a lot can happen in half an hour, diabetically speaking. You can be waiting to give it long enough to check and all the while your BGs can be rocketing skyward. 30 minutes of rapid climb meaning it'll take even longer to resolve. Case in point yesterday: I had tested to find a couple of low level dips in the morning where I'd underestimated the level of activity and not sufficiently reduced basal. In the afternoon I feared the same was happening again, but rather than testing I just topped up here and there with a sip of Lucozade or a fruit pastille. Before evening meal I was an entirely self-inflicted 12.2 (220). Not ideal. In an attempt to speed the return to better levels I left Jane washing up (sorry about that) and went for a brisk 40 minute walk. Once back I waited for things to settle (about half an hour, of course) but then found that rather than improving things I was up to a wince-inducing 24.8 (446). 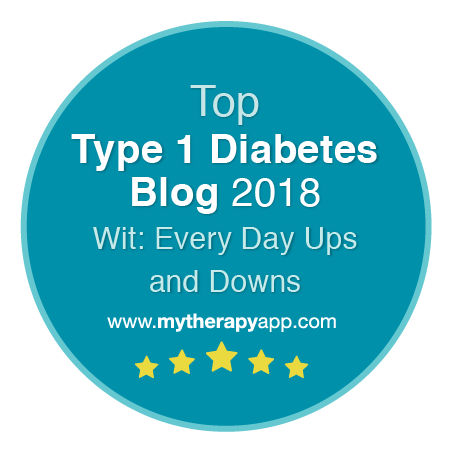 Frustratingly I rarely feel any symptoms with quick rises into kidney-frying territory so I had waited none-the-wiser while my liver had decided that my BG was far too high to be walking about and what I really needed was an additional surge of glucose. Great. Thanks for that. On the other hand I had changed set just before evening meal so maybe it was nothing to do with the walk and it was just a set failure? A full 5 unit correction administered there was nothing to do but wait and see if thigs got better or worse. Ready yet? Nope, not long enough. Another half hour should do it... (I always seem at least twice as eager for a correction to start working as it is able to start reducing BGs). Thankfully I did come down overnight, and very smoothly too. Artoo earning back my trust with a 6.5 (117) at 2am, followed by another 6.5 (117) on waking this morning. Yet another day when I would *love* the immediacy of feedback that a Continuous Glucose Monitor offers. Ah well, without a lottery-win (unlikely as we don't do it) that isn't going to happen with the current pricing structure.